During a recent tech event, an audience member ask the panelists about the type of process they use to manage product development. So many teams approach product management as if there is a single ‘right way’ of doing it. They are using a tool for the sake of using a tool, as opposed to using the tool because it solves the problems their team is experiencing. A hammer is a great tool. But, unless you have a picture that needs to be hung up, or new shingles that need to be put on your roof, a hammer isn’t going to give you a ton of value on it’s own. The best solution comes from understanding the problem you need to solve. Product management is a toolkit that can help you solve a variety of problems; in order to understand what tool is required, you need to first understand what is the main problem hindering your team when building out your product. A strong product management process is a great solution to these problems…but which one? 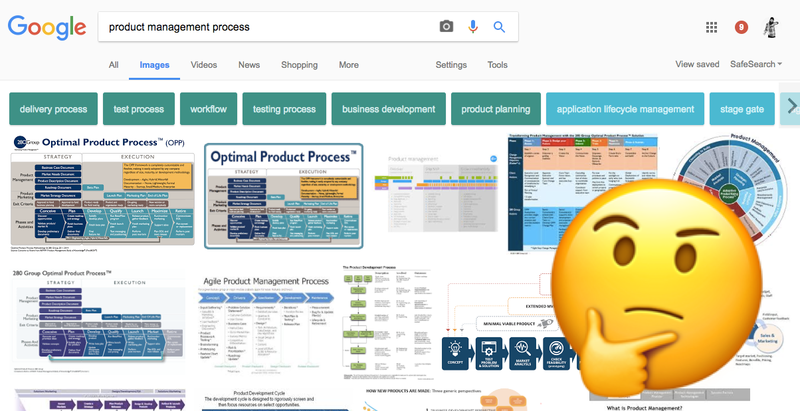 What is the best product management process between agile, scrum, sprints, customer-centred development, story pointing, Trello to-do lists, or any of the other dozen options? Each technique has merit, but you need to understand your problem before you can know which will provide the most tangible value for your product development. Product Management is about finding the right solution for the current problem — both externally (with product and market) and internally (with PM processes and team challenges). Before jumping into choosing a which you want to use for your team, I suggest all product leaders invest time up front in identifying key problems preventing your team from becoming a better version of itself. Thanks to the panelist Tom Creighton for providing a great answer on the spot. Thanks to David Zangwill for the feedback on the post.